This is a sponsored post, however all opinions are my own. Meal time with kids usually means lots and lots of messy moments. But that's just part of the fun of having a small child and it's something you definitely miss when your kids are older. Sure, at the moment that you child is covered in spaghetti sauce from head to toe plus all of the surrounding areas, you might not realize that one day you will miss it, but you will. It's one of those things that only happens when our kiddos are little and as they start to get older and eventually leave you, you will remember those moments with a smile on your face. 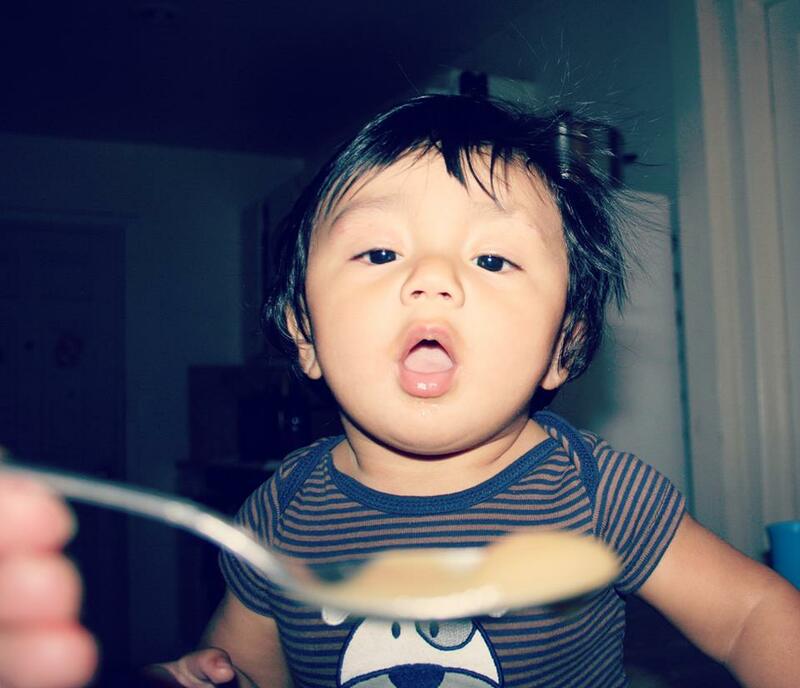 Did you know that studies show that smashing, throwing and playing with food actually helps babies learn? Just like playing with mud and dirt does. Science has confirmed that activities such as these actually help soothe, calm and relax babies. But most moms always do their best to not let babies make a mess, and we might not be doing it right. A recent survey showed that 88% of moms let their kids play only in a diaper so they don't get their clothes messy. I have also seen many moms do the same thing at mealtimes at home. And, 80% of moms have thrown stained clothes out because they felt the mess wasn't worth washing out. That's so much waste! A messy baby is a happy and as parents we have to learn not to sweat the small stuff so much, like stained clothing that can be washed. Dreft has been my favorite detergent for baby clothes since my oldest was born in 1989. That's a long time to love a detergent isn't it? But it's come with me as I raised my kids and they grew up to have their own and I now always have it on hand for the grandkids clothing. As the #1 baby laundry detergent choice of pediatricians and a trusted brand for more than 80 years, the Dreft product line meets the different needs of growing babies and their families. Dr. Dyan Hes, Medical Director of Gramercy Pediatrics, was recently named a 2013 top doctor by NEW YORK magazine, is the Medical Director of Gramercy Pediatrics in New York City, and sits on the board of the American Board of Obesity Medicine. Dr. Hes is double boarded in both pediatrics and obesity medicine. With all this in mind, it's important that parents seek out products that are gentle on baby's sensitive skin but tough on stains. Dreft is a great solution for gentle, worry-free clean-up so families can embrace the mess and enjoy making memories with their little ones. Dreft is excited to launch the Dreft America's Messiest Baby Contest, inviting families to share their favorite messy baby moments for a chance to win prizes, including the cover of the May issue of Parents Magazine! On October 25th, Actress Molly Sims got a little messy with the little ones and helped Dreft launch their nationwide search for Dreft’s America’s Messiest Baby at the Dreft Messy Play Date Party in New York City. With two children and one on the way, she understands the value of messy play and has embraced the messy journey of #amazinghood in her own personal life. 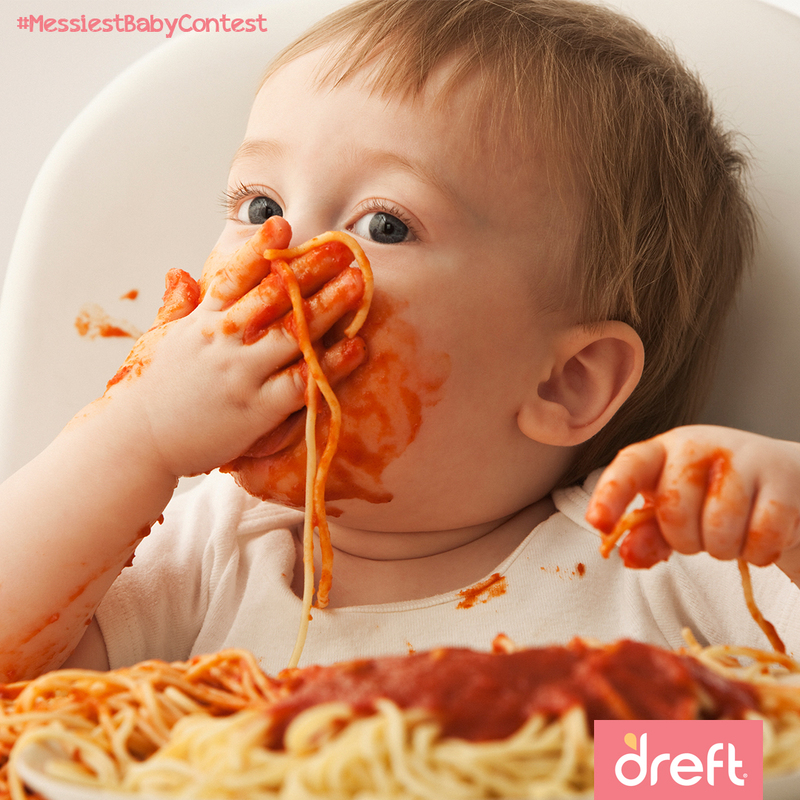 The Dreft #MessiestBabyContest Twitter Party will take place on Monday, November 14thfrom 9PM-10Pm EST. RSVP HERE. There are some really great prizes including an iRobot Roomba! Dreft Prize Pack & $50 AMEX Gift Card Giveaway: Enter by sharing a messy baby memory with us in the comments! Prize includes a $50 AMEX card and Dreft products.